Skysuites @ Meldrum Hills located next to Cyberport and close to the CIQ is nearing completion. Skysuites @ Meldrum Hills (completed on the left of the photo). 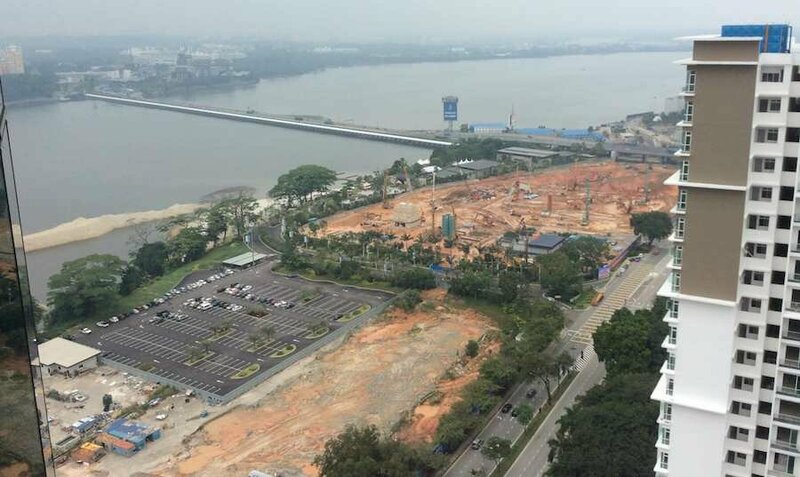 Photos taken from Cyberport by John Hunter, November 2014. 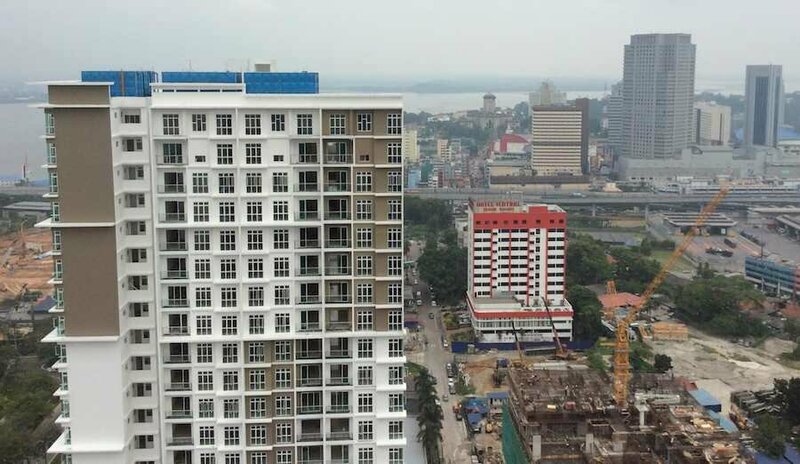 SkySuites @ Meldrum Hills is located on Jalan Bukit Meldrum (just off Jalan Tanjung Puteri) in downtown Johor Bahru. The 31-story condo building includes 250 units with 3 layouts for standard units plus duplex penthouse units (88 1-bedroom condos, 87 2-bedroom condos, 66 3-bedroom condos and 9 penthouse condos. View of Skysuites @ Meldrum Hills and the causeway to Singapore. 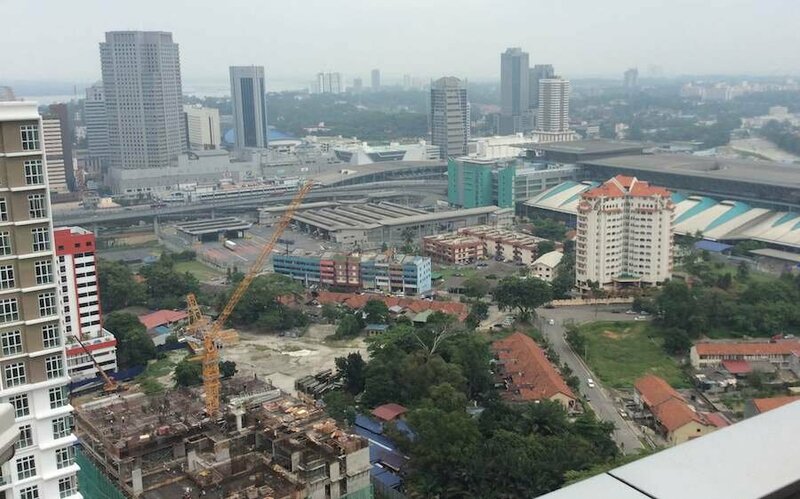 As you can see in the photos the condo is near CIQ, City Square Mall and the causeway in the Johor Bahru CBD. The Blue Wave hotel is also next store (with the very good Grand Gem Indian restaurant). If all goes according to rumors (but who knows if it will) it will be an easy walk to the MRT to Singpore. Facilities include: swimming and wading pools, gym, sauna rooms (separated into male and female), children’s playground, multipurpose hall/function room, reading room/library and mini-mart.